Nose: Aromas of soft fruits, including peaches and apricots. Palate: Powerful yet balanced, with a nutty undertone. A satisfying, lingering finish. The Grosperrin Millesime 2005 Folle Blanche Grande Champagne Cognac offers excellent value for money to own a vintage year Cognac. Made from Folle Blanche grapes grown solely in the premier cru of the terroir - Grande Champagne. 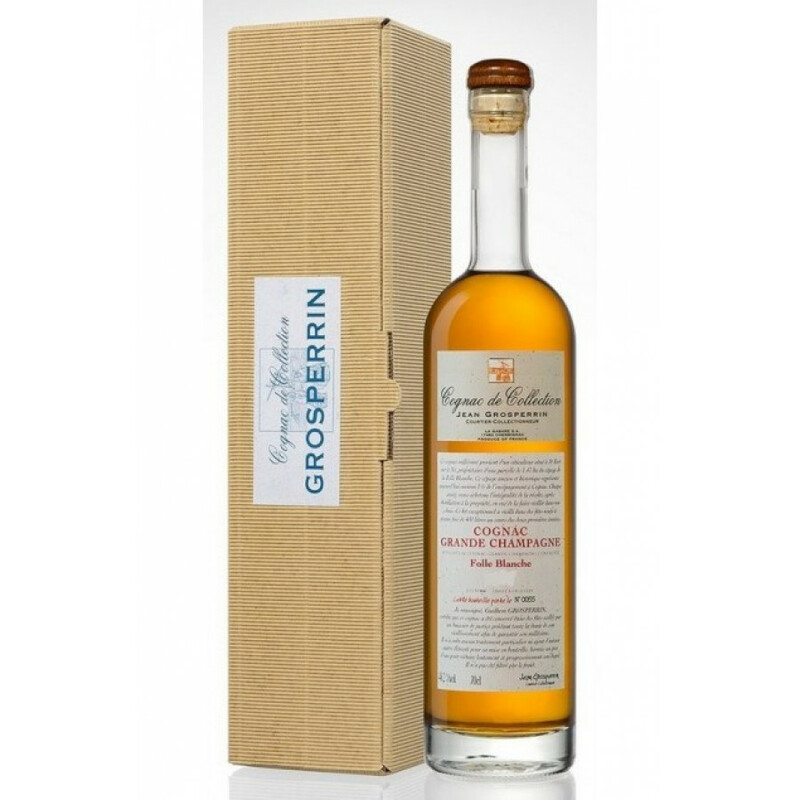 Made by one of the few independent Cognac houses left - this Grosperrin Cognac is strong and powerful, at 46.8°. This makes it a really versatile bottle to own. You can savor the power drinking it neat, or enjoy it on the rocks for a more mellow experience. Presented in a traditional style Cognac bottle and presentation box, this would make the ideal gift for any lover of Cognac.